Sprint today announced the first LTE 4G phones for its prepaid brands, Virgin Mobile and Boost Mobile. Boost will get the all-new Force, made by ZTE, as well as the HTC One SV, already offered by MetroPCS. Virgin, meanwhile, will get the Samsung Galaxy Victory, already offered under the Sprint brand. Both brands have previously only offered 4G phones that use Sprint's older WiMAX network. Sprint is committed to continuing WiMAX service through 2015, but eventually plans to phase it out in favor of LTE. 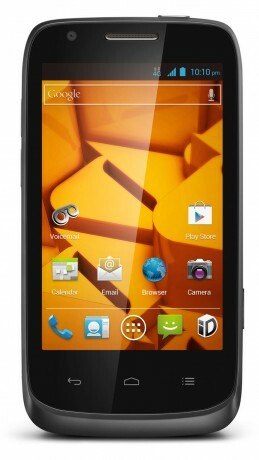 The Force sports a 4-inch screen, 5-megapixel camera, front camera, and 1.5 GHz dual-core processor. Boost will offer the Force on March 7th for $200, and the One SV on the same day for $300. Virgin starts selling the Victory today for $300. ZTE's Force for Sprint is no farce. See what makes this little Android smartphone a solid pick for the Now Network. HTC's One SV for Cricket Wireless is an excellent mid-range Android smartphone for the prepaid carrier. Read Phone Scoop's full report to see if anything holds it back. HTC's One SV is a high-end handset for prepaid provider Cricket. Though slated for the prepaid market, it's quite the looker and would do fine at any major carrier. One SV is offered by Cricket, not MetroPCS. --do you know if Sprint has lit up LTE in South Florida, yet? I haven't really found anything online that's definitive in that regard.